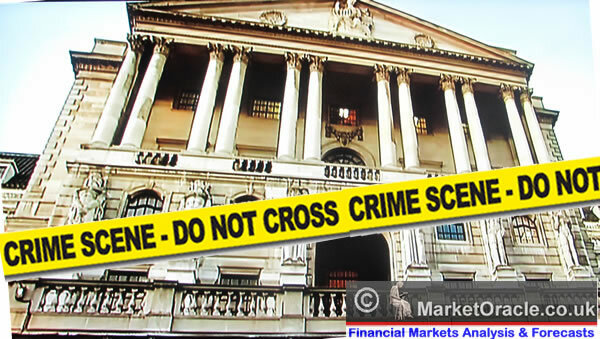 LIEbor rate fixing is just one aspect of the mega financial crimes of the century that continue to be perpetuated by bankster's that earlier today were rewarded with another £50 billion of free money from their god fathers at the Bank of England. Where is the Serious Fraud Office ? Where is 007 (or his MI5 real equivalent)? Can it be true that they are ALL in the back pockets of the bankster's? As everyone has apparently been fast a sleep for over 4 years! Whilst the criminal acts continue to take place to the tune of well over £1 trillion and ultimately the fraud could extend to being more than enough to bankrupt the state several times over! There is commentary inthe mainstream press that the SFO does not have enough money to investigate, then why not use 10% or so of the £290 million Barclays fine? And I am sure there will be plenty more fines levied against most of the other LIBOR fixing banks. Meanwhile the Bank of England does what the Bank of England does best which is to look after its bankster brethren in today's announcement of printing another £50 billion of crisp notes (electronically) that it has handed over to the banks in exchange for toxic, worthless assets, for the banks to now again go and gamble on the markets with, and what does the mainstream press as illustrated by the BBC report ? 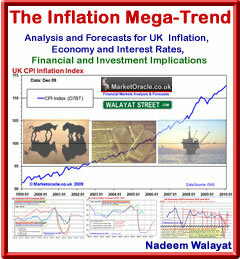 That the Bank of England has pumped £50 billion into the economy - No it has NOT ! It has pumped £50 billion into the BANKS! Not the economy! The BANKS are NOT the ECONOMY!, The Bank of England may as well have transferred £50 billion into a bankster's Swiss bank account for what good it will do ! Meanwhile the FSA regulator, is just a pure publicity stunt smoke and mirrors screen front organisation that the politicians have put up to give the illusion that regulation of the banks takes place as illustrated by the fact that no bankster has gone to prison for the any of the continuing crimes. Meanwhile Westminster politicians are pushing for a white wash parliamentary inquiry rather than a judicial inquiry that will find out the truth that the politicians of all parties have been firmly in the back pockets of the bankster's for many decades. The whole establishment is rotten to its very core, as they act as non productive leeches on the backs of ordinary tax payers. The facts are that the Banks own EVERYTHING AND EVERYONE by virtue of our debt based economy, that is designed to turn everything into a debt slave, working for the bankster's who have the power to PRINT MONEY, be it QE or fractional reserve banking. The banking sector is a cancer and the only solution is to cut the cancer out before it kills the patient, though it might already be too late to do so which implies that Britain remains on the fast track towards an hyperinflationary panic event as I warned of several years ago - 28 Nov 2008 - Bankrupt Britain Trending Towards Hyper-Inflation? To find out the current true picture of Britain's path towards bankruptcy ensure you are subscribed to my always free newsletter.